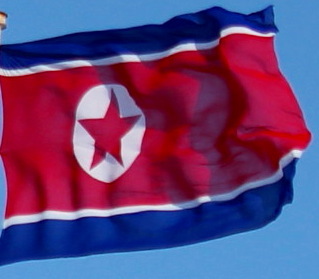 North Korea Flag - The North Korean National flag represents the history, economic and political situation of Korea. 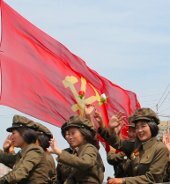 The red colour represents the blood shed by anti-Japanese fighters and revolutionaries in the struggle against the Japanese (of whom the Korean peninsula was a colony for 45 years) and fight for national freedom. 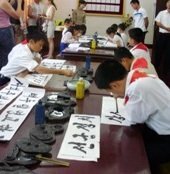 The white represents the long history and culture of the Korean people, depicting that Korea is one homogenous nation. The red star represents a prosperous future for the Korean people and their impeccable integrity while the blue means that Korea is a sovereign nation. 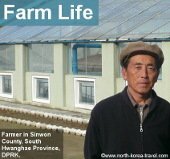 Please click on our North Korea Information link to go from our North Korea Flag to read about other aspects of the DPRK.